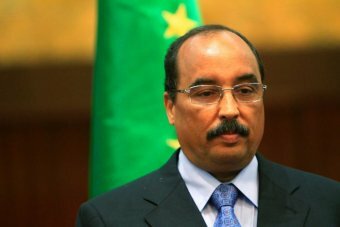 Mauritanian President Mohamed Ould Abdel Aziz reminded, once again, in a statement seen Tuesday by APA, his decision not to change the Constitution in order to remain in power. Mohamed Ould Abdel Aziz reaffirmed his "determination to respect the Constitution of the country and his rejection of any constitutional amendment violating Articles 26, 28 and 99 of the Constitution". These articles set the number of presidential terms to two of five years each. Mohamed Ould Abdel Aziz is about to finish two successive terms (2009 - 2014 and 2014 - 2019). His statement comes as members of the ruling majority have submitted to the other parliamentarians for signature a petition to amend the Constitution and remove the limitation of the number of presidential terms. "The achievement of this objective requires the preservation of the model currently being implemented in the management of public affairs,” the Mauritanian president said. This is not the first time that Ould Abdel Aziz says that he is not seeking a third term, even if members of the political class continue to question his statements.